This Bath/Shower Mixer is thermostatic allowing the user to control the temperature from the bar valve. The valve is designed and manufactured by leading bathroom brand Ultra, Ultra deliver high quality products at great value. 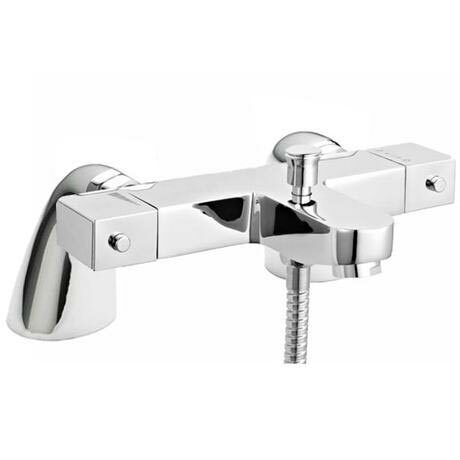 The valve is complete with a diverter to control function between tap and shower. The outlet connection is located on the bottom/Base of the valve. Comes with option for Deck Mounting or Wall Mounting. Hi, any shower hose with a 1/2 inch connection will fit, thanks for your question.